Who doesn’t love honey mustard? It’s sweet, it’s tangy…it’s delicious. When you bake it with the chicken, it absorbs the flavors and makes for a juicy, succulent dinner! The great thing about this recipe is you get to make your own honey mustard and it is really almost as simple as just pouring a bottle of pre-made honey mustard onto the chicken. This is a great weeknight dinner when you want something that’s easy to prepare with not a lot of clean up (a baking dish, a small bowl, and a brush to cover the chicken with the sauce is all you need). Plus, it’s done in ~40 minutes. The perfect amount of time when you’re tired from a long day at work or school. Prep: 15 minutes. Cook: 45 minutes. Serves 6. 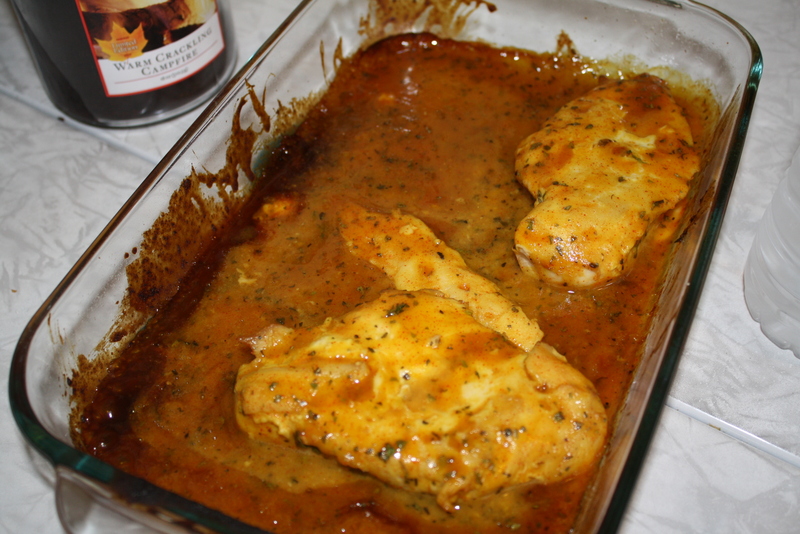 Sprinkle chicken breasts with salt and pepper to taste and place in a lightly greased 9×13 inch baking dish. In a small bowl, combine the honey, mustard, basil, paprika, and parsley. Mix well. Pour 1/2 of this mixture over the chicken, and brush to cover. Bake in the preheated oven for 30 minutes. Turn chicken pieces over and brush with remaining 1/2 of the honey mustard mixture. Bake for an additional 10-15 minutes, or until chicken is no longer pink and juices run clear. Let cool 10 minutes before serving. 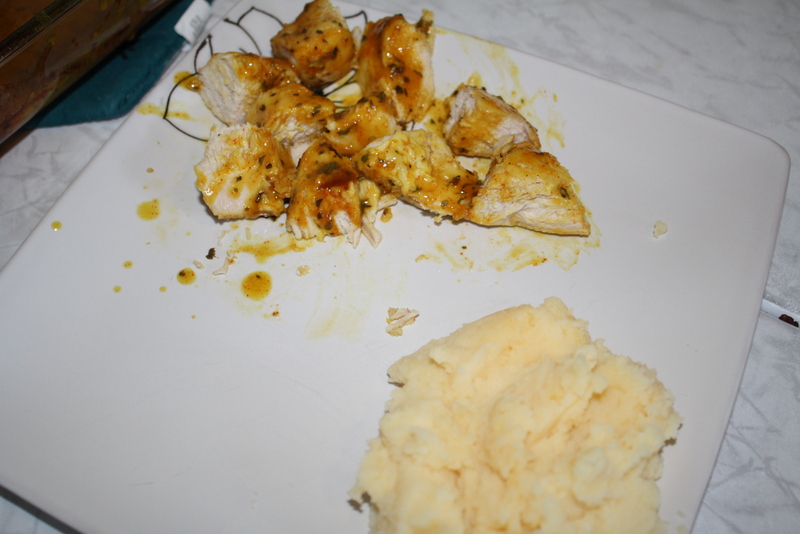 I love honey mustard and oddly though I use it as a ‘dip’ for chicken, I’ve never baked my chicken in it! What a great, fast, and scrumptious recipe! Same here, you should try baking with it. It gives it a great flavor. That’s a great, simple recipe. Nice. This sounds delicious! 🙂 Thanks for stopping by my blog! Aw, thank you. And, you’re welcome! Thanks for checking mine out, too! Honey mustard is one of my favorite things ever, especially with chicken (ironic since I am NOT a fan of actual mustard, but whatever). I may have to put this on the docket for dinner tomorrow night! Love honey mustard with chicken. The photo screams flavor we love this style chicken but it never looked this good! This looks good. How sweet does it get with that amount of honey? You can definitely detect the sweetness of the honey, but it isn’t overpowering. It’s more of a complement to the mustard. Both flavors are distinguishable. 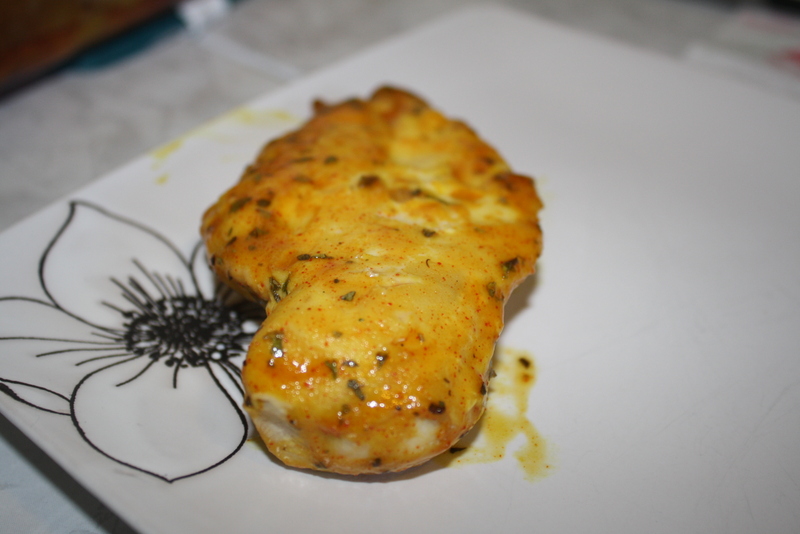 I always order honey mustard dressing, but I never thought to bake chicken in it! Great idea for a quick & delish dinner!